James Bond star Daniel Craig joined his co-stars and other members of the SPECTRE production team for a special press call held in London yesterday (October 22nd), and offered his views on his ‘bond’ with Bond. 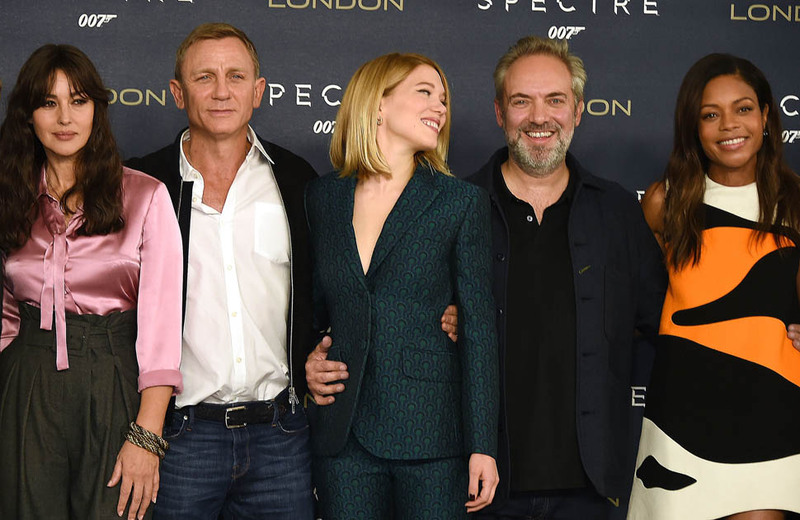 The press event, held at the Corinthia Hotel, saw a relaxed and very happy-looking Daniel pose for photographs with Monica Bellucci, Lea Seydoux, Naomie Harris, and Christoph Waltz, together with SPECTRE director Sam Mendes. 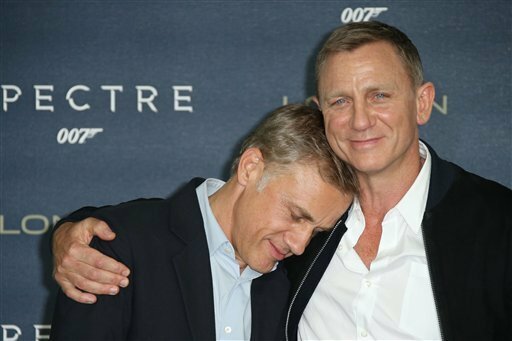 During the course of the photocall, Craig was asked about some previous comments he had made not long after completion of principal photography on the new movie, which had led some journalists to conclude that the movie was his last one as 007. He explained to one journalist that he had said things like that because he had just finished shooting after eight long months: ‘I said what was on my mind. That’s the way I’ve always spoken’. He also revealed to the same journalist that it was up to him whether he returned as 007: ‘There is no contract. It is up to me’. At another point, when faced with the question of whether he would return as Bond for one last time, Craig responded jokingly: ‘Do I have any choice?’ He then added: ‘I love making these films. Skyfall was a huge success but you want to move on and make a bigger and better version. We’ve spent a huge amount of time making sure this story is as strong and as real as possible’. Craig also commented about other aspects of filming SPECTRE, including the demanding physical stunts; at one point, he revealed that he accidently injured Dave Bautista, the former professional wrestler who plays the role of tough henchman Mr. Hinx: ‘Believe me, I was in the other room when I realised! I thought he’d come after me but he was so sweet about it’. Standing against a blue SPECTRE 007 backdrop, Daniel and his team posed for various photo shots for the enthusiastic press photographers, including for individual, pair, and full team photos. Publicity about the photocall in the the British press today (Friday) was also reinforced by a new stream of early reviews of the movie, with further very strong assessments of the story, the action and the quality of the acting. Alex Zane, for example, writing in The Sun (October 23rd), wrote that there ‘are many, many great scenes’ in the movie, and that ‘Bond’s spy crown’ remains safe from any rival films series that may be after it. Similarly, a review in the UK’s Daily Mirror newspaper (October 23rd), entitled ‘Thrills in 00-heaven’, asserted that the film ‘never fails to thrill’. The paper also offered ‘007 reasons why this is the only film you need see this year’, including that the pre-credits are the ‘best ever seen’ in a Bond film, and that Christoph Waltz ‘plays a villain to be remembered’. The Daily Express (October 23rd) also joined the general celebratory mood, with its review arguing that SPECTRE ‘combines all the thrills and spills of a Bond epic with a clever web of a plot that draws together a lot of elements from previous 007 outings to deliver more revelations about his dark and mysterious past’. The paper added that this is a ‘very classy Bond’ that is beautifully filmed by Hoyte van Hoytema. SPECTRE will have its World Premiere on Monday, October 26th. Are you ready? Un jeux concours James Bond pour les fans !